WEIGHT loss: How to lose weight and belly fat fast is the holy grail of dieting, and one expert has claimed it is possible in just two weeks. Fiona Kirk is the author of “2 Weeks in the Fast Lane” and its follow-up “2 Weeks in the Super Fast Lane” promise speedy weight loss for those needing to get in shape for an event. Kirk devised her plan after research showed between 85 and 95 per cent of dieters regain the weight they have lost within five years. So she studied the ones who had managed to maintain their weight loss and see what they did to be successful. She said: “I interviewed hundreds of people and discovered that 63 per cent of successful dieters had found a so-called quick fix diet that actually worked. Discussing the plan she created after her research, she said: “This is not a crash diet. There are a list of rules that must be followed for the plan to work in the two week time frame. Consume only fruit until 11.30am, as it is easier to digest if it is eaten on its own. Have a bowl of soup at lunchtime with a plate of salad on the side. Starchy carbs such as sweet potatoes, beans, lentils, couscous, brown rice and quinoa are allowed before 6pm. They can be eaten after 6pm if you exercise in the evening. White carbs such as rice, break and pasta are not allowed. 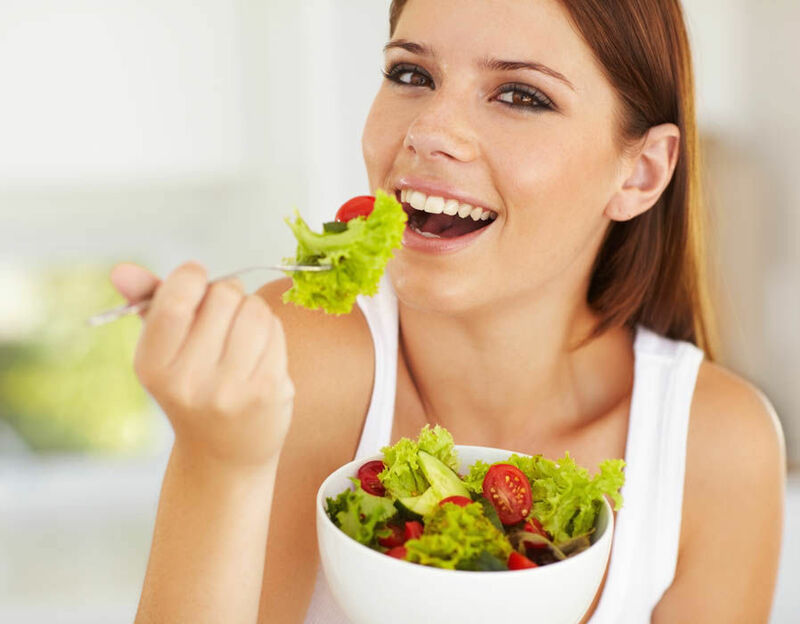 Eat at least three vegetables or a big salad with the evening meal. Get 30 minutes of physical activity every day, ideally first thing in the morning as this is when fat is burned more efficiently and continues to do so for up to eight hours afterwards. Drink water every two to three hours, as every chemical reaction in the body needs water to get a result. If things go wrong, don’t worry, just get back on track as quickly as possible. Juices, salads and soups can be shop-bought if you don’t have time to make your own. Stick to the plan for two weeks, and after the time is up, you can continue the plan for as long as you want to or you can play around with the recipes to suit your tastes.